Shake Shack’s first-ever cookbook, with 70 recipes and plenty of stories, fun facts, and pro tips for the home cook and ShackFan, as well as 200 photographs. Follow Shake Shack’s journey around the world; make your own ShackBurgers, crinkle-cut fries, and hand-spun frozen custard shakes at home; and get a glimpse into the culture, community, and inner workings of this global phenomenon. MARK ROSATI is the Culinary Director of Shake Shack. "It's a fascinating read whether you're hungry for recipes or insider trivia about the cutthroat New York restaurant world." "If anything can beat biting into a juicy Shake Shack burger at the restaurant, it's taking that first bite while wearing your pajamas in the comfort of your own home. 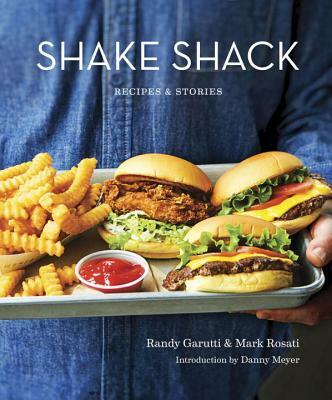 Now that dream can become a reality with the release of the new Shake Shack cookbook."